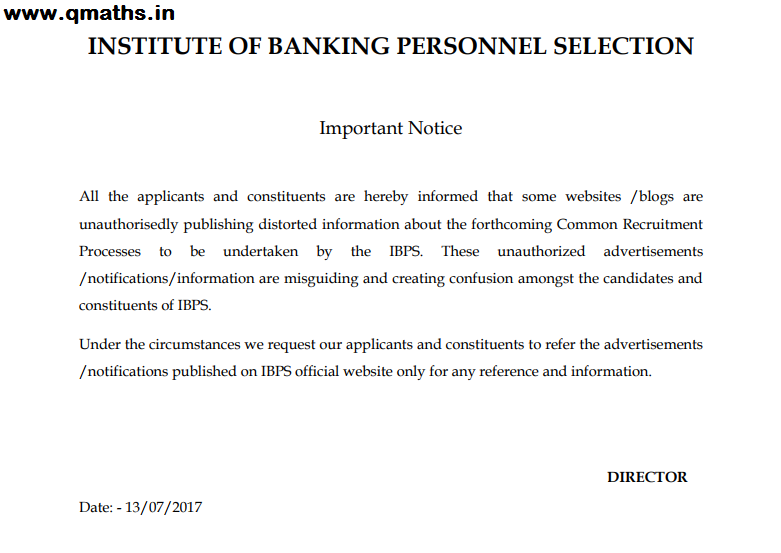 IBPS has issued the clarification Notice on its official website regarding unauthorized / fake recruitment notifications. It was seen that in last week several websites published IBPS CWE RRB 6 Notification. IBPS says these Notices contains Distorted Information and should be avoided, further IBPS requested to follow only official website for Notifications and Information. All the applicants and constituents are hereby informed that some websites /blogs are unauthorisedly publishing distorted information about the forthcoming Common Recruitment Processes to be undertaken by the IBPS. These unauthorized advertisements /notifications/information are misguiding and creating confusion amongst the candidates and constituents of IBPS. Under the circumstances we request our applicants and constituents to refer the advertisements /notifications published on IBPS official website only for any reference and information.